LACEY – Jody Becker's mantra has always been "to instill hope and promote humanity in all that I do." The Department of Corrections' deputy secretary says developing a purpose statement is key to success in any career because it drives your actions and behaviors. 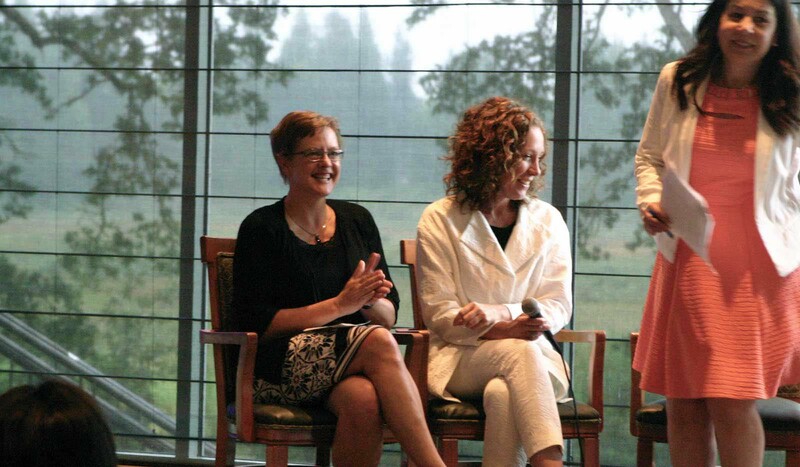 Becker shared that and other insights before more than 100 state employed women and community members attending a professional development event Aug. 8 at the Indian Summer Country Club, sponsored by Deloitte, a business consulting firm. 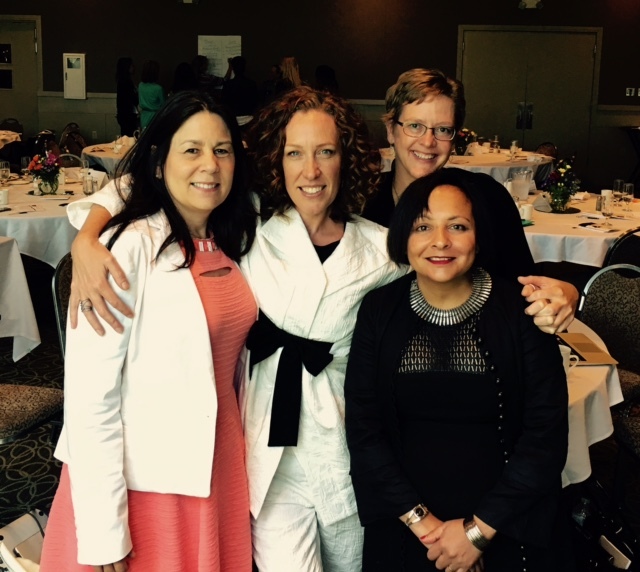 Becker was one of four female panelists at the event, "Women Transforming Government: Taking Risks and Leaning In." She and the panelists talked about strategies for leading transformative change in organizations, how they did it and lessons learned. "How you show up every day matters immensely," Becker told audience members. "I start every day with a whole lot of optimism combined with a healthy dose of fear. Learn to be comfortable with the uncomfortable. By leaning in, you are courageous and brave, yet vulnerable. It's in these moments you grow and shine brightly as a leader." She also talked about leading teams during times of uncertainty. Crisis situations can evoke lots of emotions, according to Becker. "You have to be prepared to support people through difficult times. I was once told, 'There is no crying in corrections,' My response was 'Well, of course there is, because our work involves people.' Our work is emotional and the emotions expressed are normal reactions. Tears are healing. They are the vehicle of grace, mercy and justice that are needed in our interactions with one another." Additionally, it's important to build a support network to deal with stress on the job, Becker said. Becker spent much of her career living and working in Indian country. She became friends with many tribal members who served as mentors and life coaches, several of whom she still speaks with today. "There's nothing better than an elder who will tell you what you need to hear, even if you don't want to hear it," Becker said. "Find someone who will listen, guide, support and mentor you, both personally and professionally. Be open to feedback and strive to grow and learn. Be curious. There's no stronger connection than someone who says 'I see you, I hear you, and I value you.'" Becker has held leadership positions in the government and non-profit sector over the past 25 years. She's been a public administrator, social worker, researcher and policy analyst. Former Corrections Secretary Dan Pacholke appointed Becker as deputy secretary in October 2015, the same year she received the Governor's Award for Leadership. Prior to serving as deputy secretary, she served as the agency's program administrator for performance, partnerships and analytics. Becker also served as acting secretary from January to April of 2017. 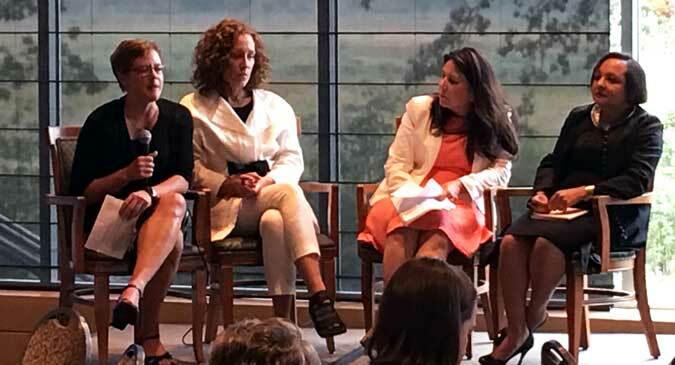 Other panelists included Cordilia Jochim, brand strategist and co-founder of Lean In, Pat Kohler, director of the Washington State Department of Licensing, and Shrupti Shah, managing director of international think tank and innovation consulting firm GovLab.